What is better dental crown or veneer? What are my options for missing teeth? My wisdom teeth are causing me pain: do I have to do anything? Established in 1983, our family practice has become part of the community as our large family continues to expand and more and more people experience the difference. Our staff have built lifelong relationships with our patients based on their warm friendly personalities, experience and exceptional standards of care. Some of our patients have been with us from that first day over 30 years ago and we’re now treating their children’s children. At Redlands Gentle Dental Care we strive to practice personalised care for each and every patient in a warm and relaxed environment. Our team will always aim to exceed your expectations with gentle, comfortable and efficient treatment. To find out more about our practice, or to book an appointment, please contact us today. I strive to provide the best quality professional dental care for my patients whilst offering them personalised care. I love to treat my patients the way I would like to be treated. I am absolutely committed to helping my patients feel at ease and relaxed during their dental treatments and I hope I can change my patients quality of life by improving their smile and oral health. Graduated from University of Queensland with Honours degree in 1993. Practising in private practice since 1993 and has been teaching at the University of Queensland for undergraduate students. Awarded two dental awards in QLD The Vardiman Dental Study Association Prize. The Carlise C Bastian Prize. Continuing dental post graduate education in Australia, United State of America, Hong Kong and Singapore. Attended multiple special training in area of Crown and Bridge. Joined Redlands Gentle Dental since 2000. And is a member of the Australian Dental Association. Dr Carol Au graduated with honours from the University of Queensland in 1993. She was awarded The Carlisle C. Bastian Prize and The Vardiman Dental Study Association Prize by showing the greatest Clinical aptitude in crown and bridge work. Since graduation, she was appointed back by the Dean of Dental faculty in the University of Queensland to be a clinical supervisor for undergraduate student. Carol also opened her own private practice in Indooroopilly for 7 years which was later sold due to her family relocating to the Redlands area. Dr Carol Au joined the Redlands Gentle Dental Care in 2000. As part of her continued efforts to provide the best care to her patients, she regularly attends further postgraduate University dental educational programmes in Australia, United State and Hong Kong. Carol has enjoyed all facets of dentistry and feels rewarded when treating families especially watching their children grow up. 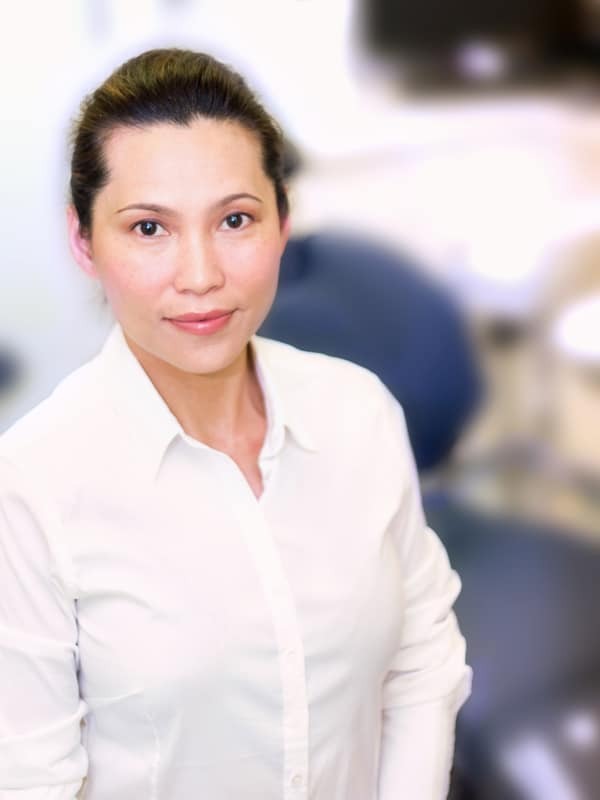 Dr Carol Au is a member of the Australian Dental Association, and has a keen interest in crown and bridge work, cosmetic and restorative dentistry. Carol lives locally with her husband Anthony and has two children. Outside dentistry, she enjoys travelling, walking and reading. She loves to spend quality time with her family and enjoys just being a mum. Qualified to practice General Dentistry in India and Australia. Graduated in 2004 and has extensive experience in dealing with dental emergencies. Qualified as a Specialist Endodontist (Root Canal Treatment and much more) in 2007 in India. Root Canal Treatment and Crown forms a major part of his practice in Australia. Underwent Specialized Training Programme in Implants in Colombia in 2007. "Attention to Detail" is my motto of practice. Love Stand up Comedy and Live Music Performances. Helping people get out of pain has been one of Deepak’s motivating reasons for becoming a dentist. He loves seeing smiling people around and hence decided to become a dentist as this was the best way to give people their Best Smiling Face. 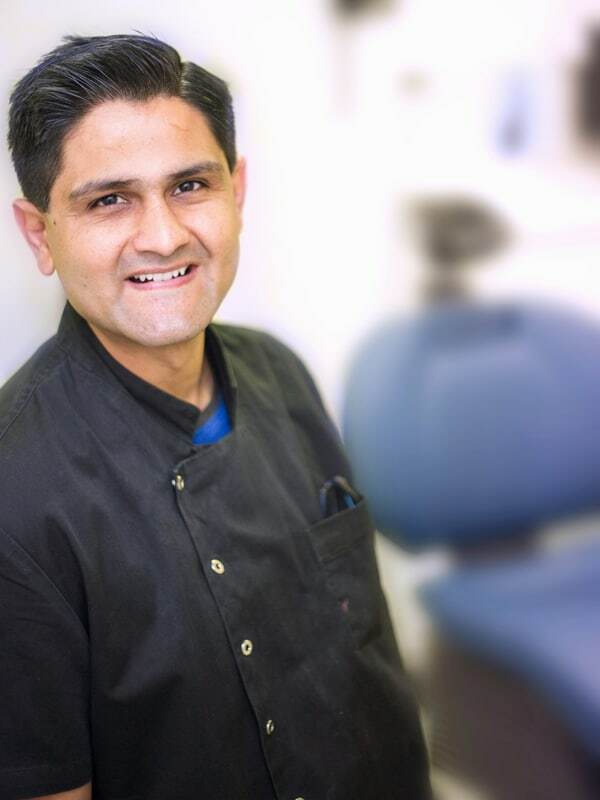 Dr Parwani’s areas of interest in dentistry include gentle general dental work and he has an affinity for restoring teeth with root canal treatment, crowns, veneers and implants. He is a compassionate dentist and aims to help people have a painless and pleasant dental experience. He is blessed with a lovely wife who also happens to be a dentist and they have a cute little boy. Music, stand-up comedy and travelling are his hobbies and he loves doing charity work specially helping the less fortunate ones by donating his time and services. My motto and mission is to deliver high quality dental care in the most relaxed, comfortable and painless fashion. I am always prepared to go that extra mile for my patients comfort. Also I believe in giving patients all the knowledge and options for them to make an informed decision. Graduated in 2005, over 10 years of dental experience and a registered Invisalign practitioner. Believes in dental excellence with a caring gentle touch. Committed to continuing dental education and learning advanced techniques. Firm believer of prevention being better than cure. Deepti enjoys reading, cooking, travelling and spending time with her husband and 6 year old son. 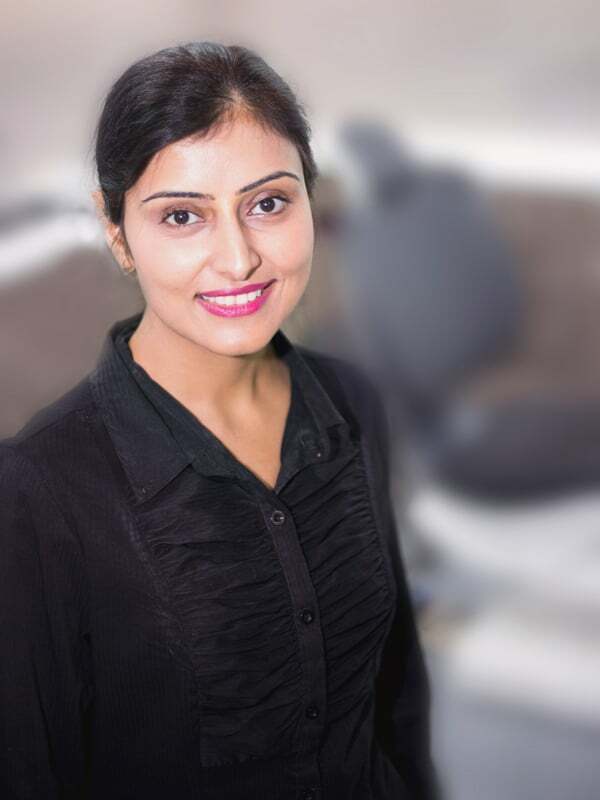 Deepti enjoys working with patients with dental phobias and takes special care to ensure their experience is positive and is always prepared to go that extra mile for her patients comfort. Deepti likes to take time and discuss different treatment options and also assist patients with questions and concerns. Firmly believes in prevention is better than cure and has been working hard to instill good oral hygiene habits. Finds it very rewarding to see patients who were once dental phobic and are now enthusiastic patients. Also loves to see the families she has been looking after over the years achieve optimum oral health. My goal is to provide personalised and professional dental care for all my patients. I enjoy dentistry, and caring and interacting with my patients. The main focus is in ensuring patients are comfortable and for them to receive high quality dental treatment. Emily completed her Bachelor of Oral Health in Dental Science and Graduate Diploma in Dentistry at Griffith University. During her study at Griffith University, she also completed her Honours for her Bachelor whilst studying for her Graduate Diploma. She conducted her research in the Endodontic and Microbiology field of Dentistry and has led her to be a guest lecturer at the RACDS (Royal Australasian College of Dental Surgeons) for QLD ‘Scientific Day’ in 2013. Emily has joined the team at Redlands Gentle Dental, following rural experience in Mt Isa and Toowoomba. She gained wide a range of general dentistry including treatment planning, paediatric and restorative dentistry. She has a strong commitment in furthering her education and research. She attends various dental conferences to ensure modern dental treatment is provided for her patients and further extends herself in the field, having also recently published a research article in endodontics. Graduated with Honours from the University of Melbourne as the top student of her year. Committed to keeping up-to-date by attending courses run by the Australian Dental Association and other recognised continuing education providers. Member of the Australian Dental Association and the Southside Dental Study Group. Grace enjoys traveling, music, and spending time with her family and friends over good food. Volunteers her time and dental skills both locally and overseas with non-profit organizations to help people who have difficulty accessing dental services. 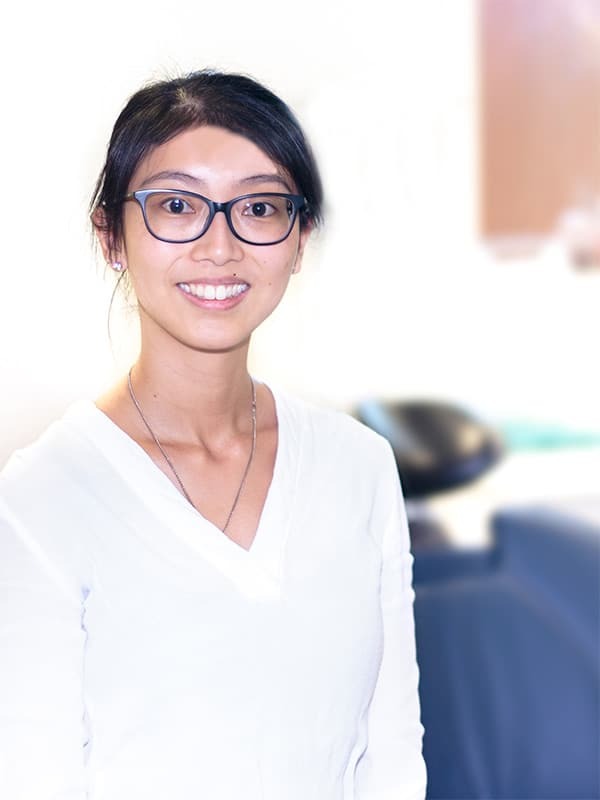 Dr Grace Sha completed her dental degree with at the University of Melbourne and received the Victorian Women Dentists’ Association Award for Female with Highest Aggregate Mark Over Years 2 to 5 in 2009. After working for several years in Sydney, Grace moved back to Brisbane in 2013 to be closer to her family. She has been in full-time private practice in addition to being a sessional clinical supervisor at the Griffith University School of Dentistry. Grace’s gentle and caring manner has helped many anxious patients overcome their fears of coming to the dentist regularly. She takes time to communicate procedures and treatment options to her patients, and enables her patients to make informed decisions about their health with clear and personalized explanations. 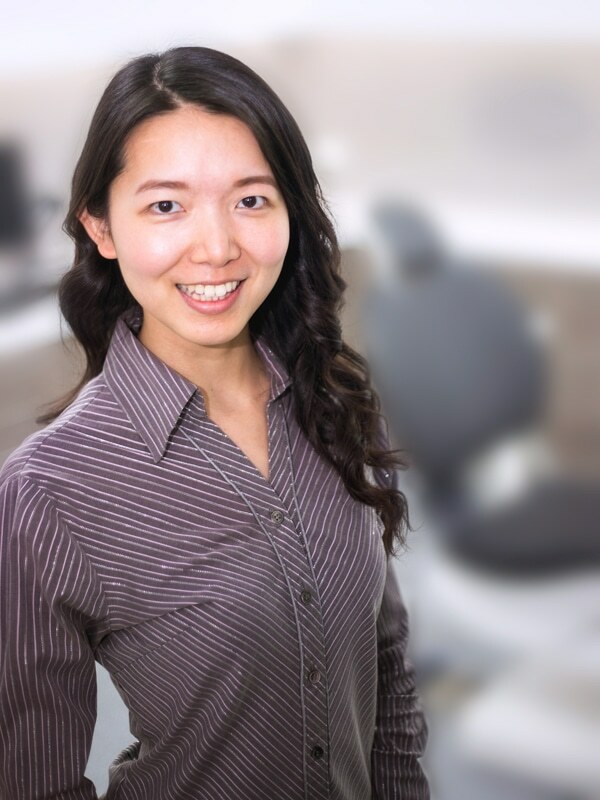 Grace enjoys all aspects of general dentistry with special interest in children’s dentistry, preventive dentistry, crowns and bridges, and oral surgery. She believes firmly in prevention being better than cure, and finds great joy in building rapport with patients and watching families she looks after grow, returning happier and better educated in oral health each time. 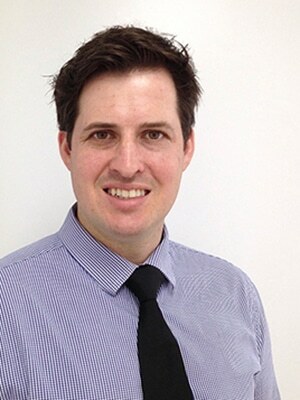 Jasyn grew up in Brisbane and completed a science degree before studying dentistry at the University of Queensland. After graduating with honours in 2007, he worked in Gladstone for two years before returning to Brisbane to be closer to his family. Jasyn enjoys all aspects of dentistry, and giving patients a beautiful smile is, for him, the most satisfying part of dentistry. For Jasyn seeing the changes a beautiful smile can make to a person’s self-esteem is most rewarding. Jasyn is currently finishing is speciality degree in orthodontics. When he is not studying he enjoys a social game of tennis, watching rugby or dining out. Graduated from the University of Queensland in 2008 and has been practicing in Brisbane ever since. Particular interest in Cosmetic dentistry, Crown and Bridge procedures and Root Canal treatments. Provide patients with gentle dental care while delivering uncompromising excellence, putting the patient's comfort first. Continuing dental education to constantly update knowledge in the latest developments in dentistry, effective communication and patient management. Joon enjoys spending time with his wife and two daughters and believes in a good work-life balance. He also loves playing sports in particular golf and tennis. Joon grew up in Brisbane and obtained his dental degree from the University of Queensland in 2008. He has a friendly personality and gentle nature which helps his patients always feel comfortable and at ease in the dental chair. He focuses on listening to his patients and will take the time to explain in detail and answer any questions using non-dental terminology to ensure his patients have a good understanding of all procedures and treatment options. 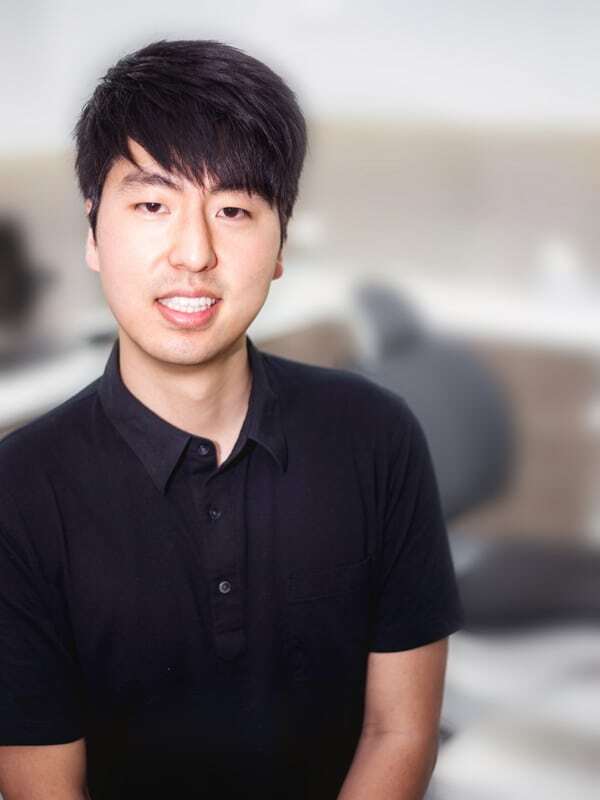 Joon loves his gadgets and routinely takes photographs to show his patients detailed photos of their dental conditions and to address any cosmetic concerns that his patients may have. Being a bit of a perfectionist he always strives to perfect and hone his dentistry skills and is often commended for his gentleness in administering local anaesthetic. Want to find out which cosmetic treatment is best suited for you? Download your FREE guide to cosmetic dentistry for more information!